(Long Island, NY) County Executive Steve Bellone joined Suffolk County Legislators Steve Stern, Kara Hahn, Bill Lindsay III, and Rob Calarco as well as local veterans, business owners, members of the running community and the Greater Long Island Running Club to announce that registration for the inaugural Suffolk County Marathon and Half Marathon is officially open to the public. Residents and visitors can register at SuffolkMarathon.com. The race will be held on Sunday, September 13. County Executive Bellone Opens Registration to the Public at the Sayville Running Company along side veterans and members of the running community. Photo Credit: Suffolk County. The Suffolk County Marathon and Half Marathon is a scenic course that will begin at Heckscher State Park and wind through the vibrant downtowns of Oakdale, Sayville, Bayport, Blue Point and Patchogue. The marathon is designated as a Boston Marathon qualifier. County officials noted all net proceeds will help to expand and enhance veteran services in Suffolk County. 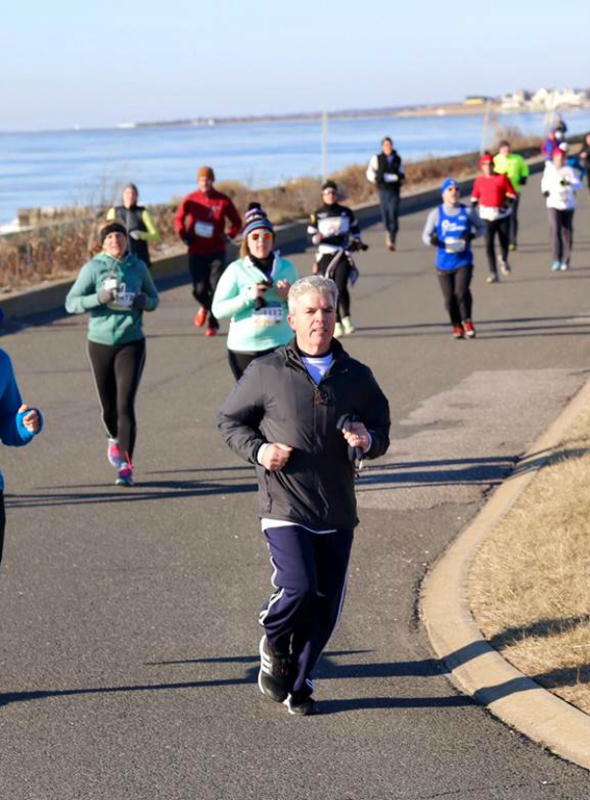 Suffolk County Executive Steve Bellone in the 10-mile Run to the Brewery in Patchogue. Photo Credit: Suffolk County. 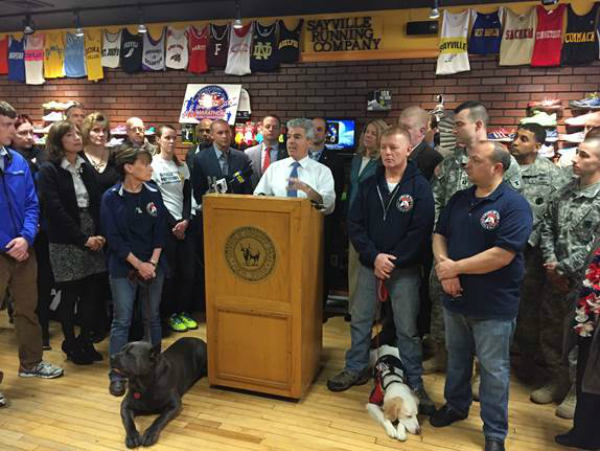 County Executive Bellone hosted the announcement at the Sayville Running Company, a local Sayville business along the route of the inaugural marathon. Officials anticipate the marathon to generate nearly $8 million in economic stimulus throughout the region. “We have some great downtowns here that are going benefit from seeing so many visitors. Not just the runners but the spectators that are going to come along to watch the race and for such a great cause,” said Legislator Robert Calarco. “Suffolk County is proud to be home of the State’s largest veterans population, and what a great way to say thank you to our service men and women and to show our support for our veterans and their families,” said Legislator Steve Stern, chairman of Veterans and Seniors committee. “As a legislator and a runner, I am very excited to have this marathon right here in our backyard while showcasing what our downtowns have to offer,” said Legislator Kara Hahn. For more information, visit SuffolkMarathon.com or Facebook.com/stevebellone.